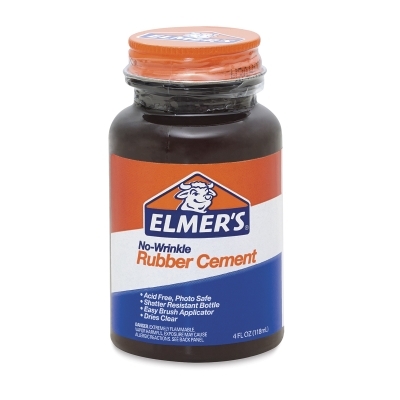 Elmer's Rubber Cement spreads easily. Work can be repositioned, making Elmer's ideal for projects that require accurate placement. 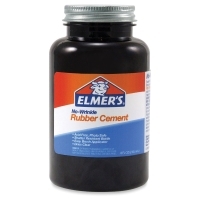 Plastic bottles have a cap with a built-in application brush.